Gazpacho is a cold tomato and vegetable soup from Spain and it’s the perfect appetizer for a hot day. Throw a few vegetables in the blender together with garlic, vinegar, hot sauce, salt and pepper. 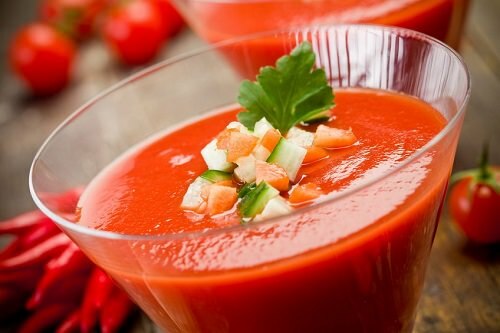 When the ingredients are blended smooth, add in tomato juice and put the mixture in the refrigerator. Serve with pieces of avocado.